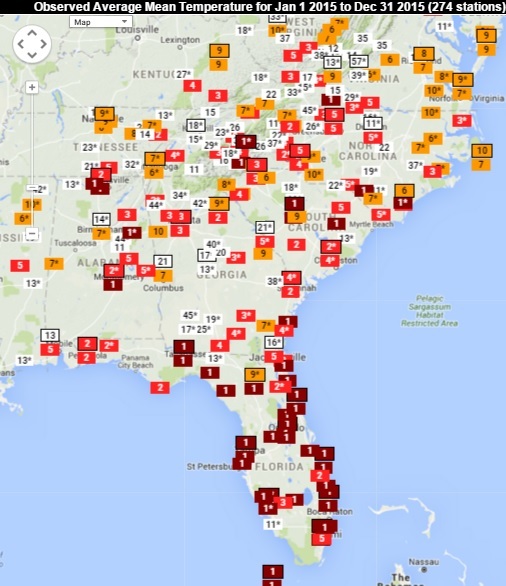 The preliminary climate summary for 2015 shows that nearly every station in Florida set a new record for the highest annual temperature, while the flooding in South Carolina in October contributed to the record-setting wet year that Charleston and other nearby SC locations experienced. 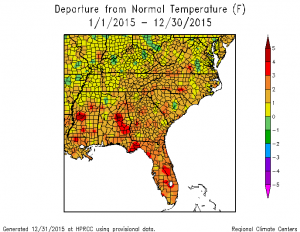 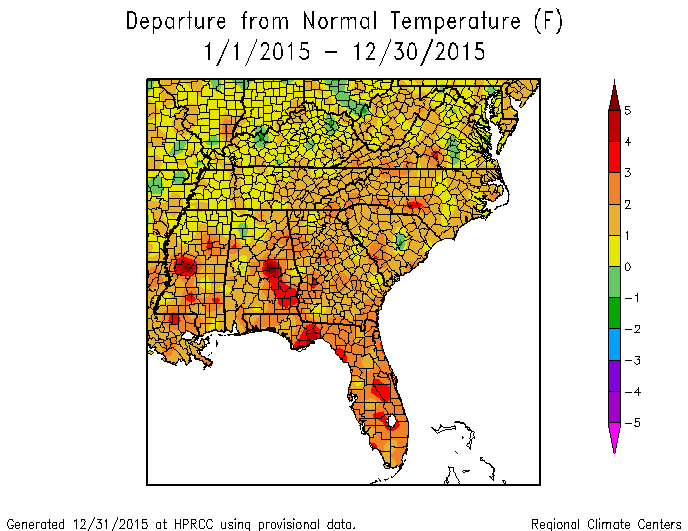 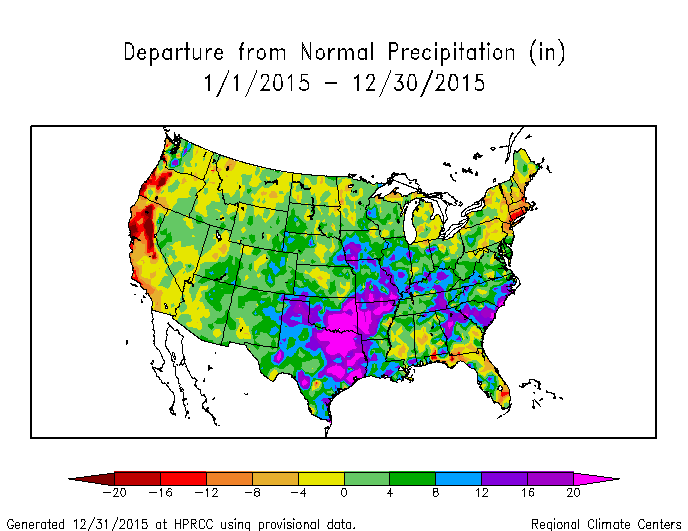 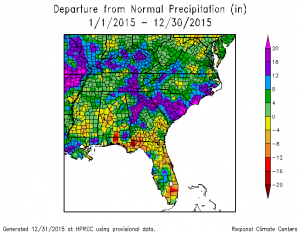 Many other locations in the Southeast experienced a top ten warmest or wettest year on record (or both!) 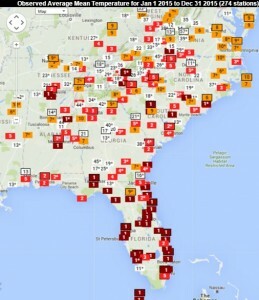 You can get clearer graphics of the ranking maps below at www.sercc.com/perspectives. 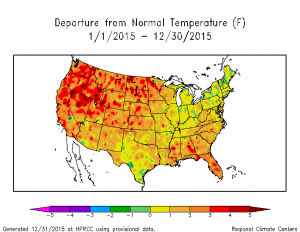 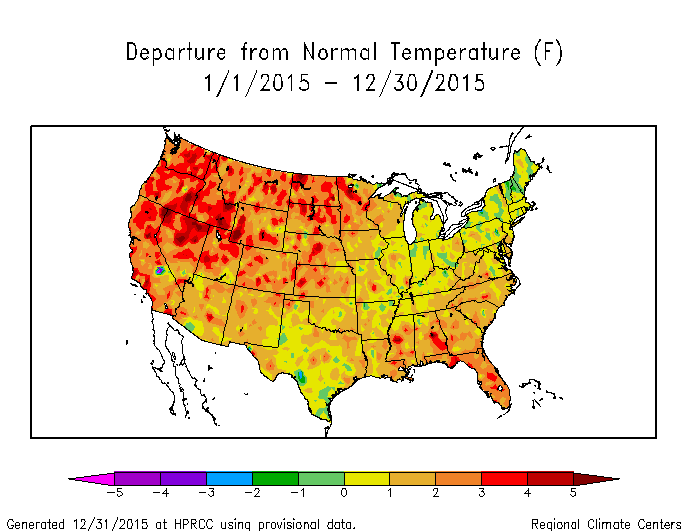 Additional regional and national maps for 2015 below from the High Plains Regional Climate Center show that nearly all of the United States was above normal this year in temperature, due in part to the presence of unusually warm water in the Atlantic and Pacific Oceans surrounding our country. 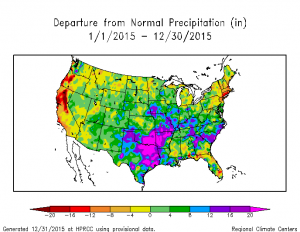 We were wetter than many parts of the country but not as wet as the southern Plains, which were soaked twice during the course of the year.